Discussion in 'Pentecostal & Assemblies of God' started by lilmissmontana, May 18, 2008. What a great motherly smile. Thankyou! 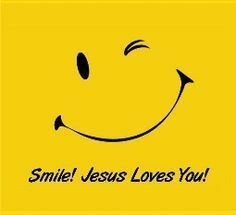 Smile for God is with you! May more smilers join us here! Feeling the warmth of those smiles! Thankyou! Every smile and smiler is so welcome!